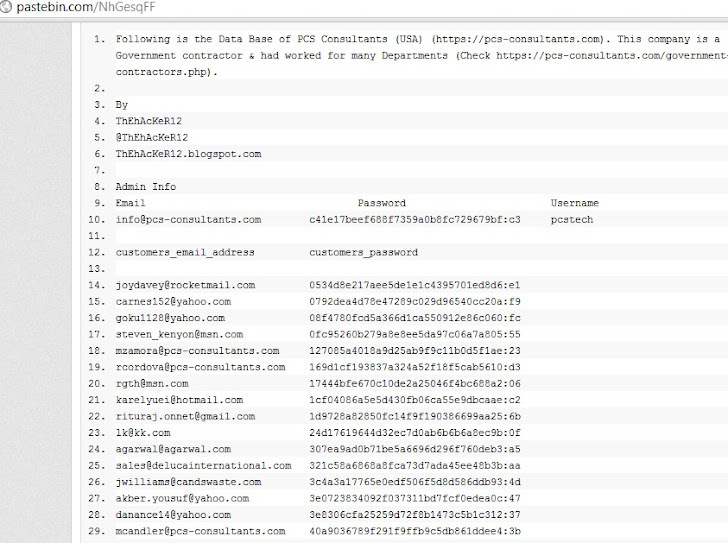 Another Government contractor - PCS Consultants (USA) got hacked by Anonymous Hackers & #Antisec operation Hackers. 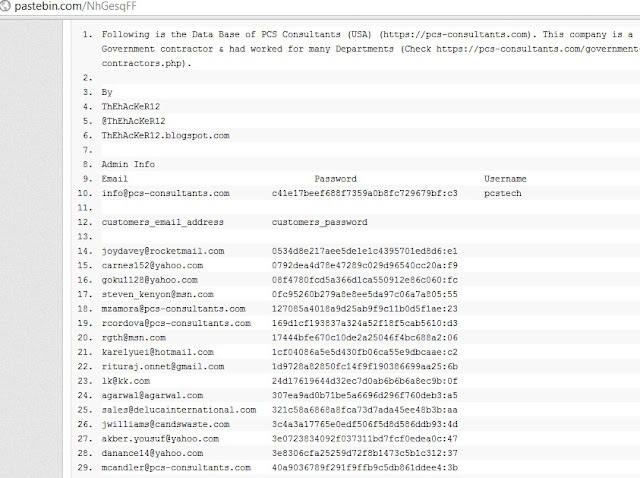 Database of website has been extracted and leaked on internet via tweeter on Pastebin.The leaked Data extracted Includes Admin's and 110 users emails, passwords in encrypted hashes. 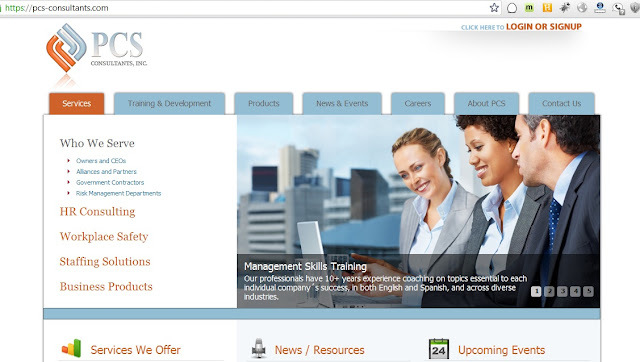 According to PCS website "PCS Consultants, Inc is a full-service Human Resources and Risk Management Compliance Company, offering support in recruitment and internal placement, position classification, employee relations, OSHA compliance programs, worker's compensation administration, and training for a variety of HR/Safety and EEO-related subjects.Providing support to all levels of government, our team of consultants are carefully selected to ensure they have the necessary knowledge and understanding of relevant Public Sector Acts and Standards and high level oral and written communication skills, excellent liaison and interpretive skills. Our consultants have a minimum of 15 years of experience." Anonymous Hackers said "These governments and corporations are our enemy. And we will continue to fight them, with all methods we have at our disposal, and that certainly includes breaking into their websites and exposing their lies,"
"We are not scared any more. Your threats to arrest us are meaningless to us [because] you cannot arrest an idea. Any attempt to do so will make your citizens more angry until they will roar in one gigantic choir. It is our mission to help these people and there is nothing - absolutely nothing - you can possibly do to make us stop."